In whois post we learn how to gather information through a simple command on Backtrack 5 .Now we are decide to interrogate the Name Server using "host tool" which is already installed in the Backtrack 5 . Why we use host tool ? We use host tool to translation for us . It translate target_hostname into ip address.It means when you enter target_hostname then it will resolve it into ipaddress. 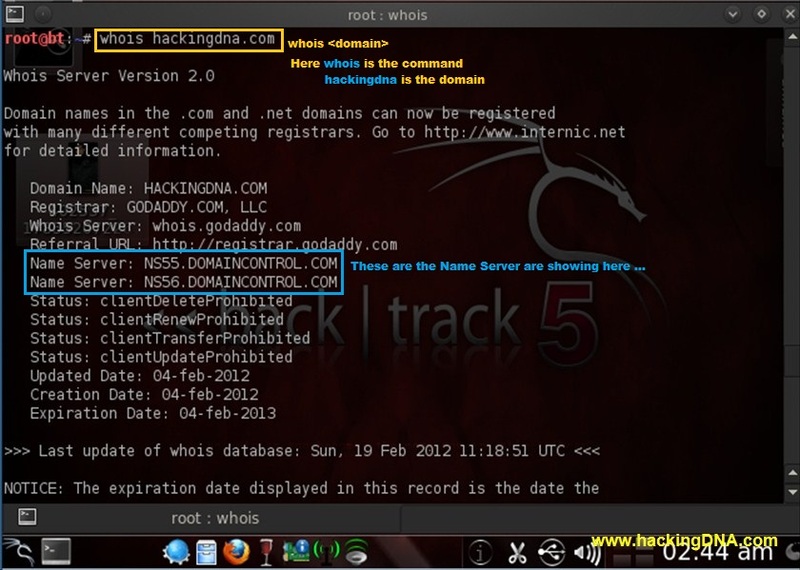 Lets take a quick recap of whois tool ,see below image .Here we give the whois command to find the information about the hackingdna.com . .Use host tool to get the Name Server address . Here we get the ip address from the Domain. using host tool .